Judging by how much time and money is now being invested in Internet and search engine marketing, it would appear that startups and business owners have finally realized that the maxim “build it and they will come” carries no weight outside of an 80s movie. Sadly it would appear that it has been replaced by an equally ineffective belief of “if they come they will convert/buy”. Forrester Research estimated in 2011 that for every $100 companies spent on driving traffic to their websites, only $1 was spent on converting that traffic to business. 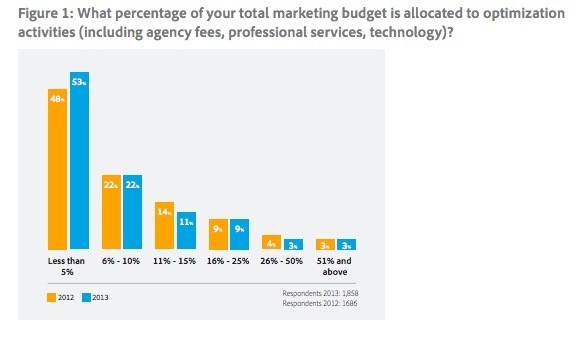 Adobe’s 2013 Digital Marketing Optimization Survey showed that more than 50 percent of the respondents were allocating less than five percent of their marketing budget to conversion activities, resulting in a website conversion rate under two percent. Which begs the question: how much effort are you putting into conversion activities on your blog? Your company website, and by extension your company blog, is not simply a digital showcase; it is a very important component of your conversion process, especially if you are in charge of a startup or only have an online presence. This article looks at some steps you can take to optimize your blog for better conversions, from making it load faster, through to building in social proof. Where search engine optimization (SEO) focuses on making your website discoverable to visitors and potential customers by first making it discoverable to search engines, conversion optimization focuses on eliminating flaws in your website that prevent you from converting visitors to customers. The former (SEO) has traffic as a goal, while the latter (conversion optimization) has sales as a goal and startups often place too much emphasis on traffic during their launch campaign without ever looking at how, or if, the traffic will convert. Image Size. Use services such as Smush.it, TinyPNG and JPEGmini to reduce the file size of your images. These services use lossless techniques to remove unnecessary metadata, colors and “bytes” from your images without ever affecting the visual quality. Expect file sizes to drop 20 to 60 percent after using any of these. HTTP Redirects. You won’t be able to eliminate HTTP redirects completely if you use of an advertising service to deliver advertisements on your pages, but look at reducing any other redirects from your site. Caching. 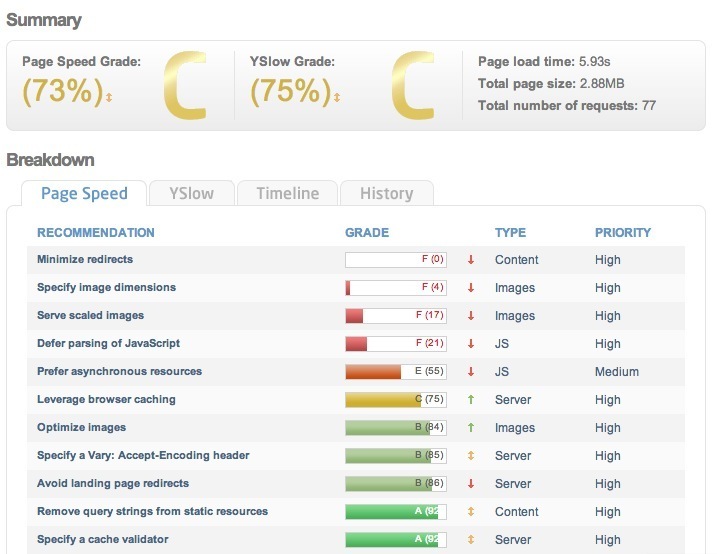 Take advantage of browser level caching by implementing Last-Modified and Expires headers on all your pages. Although the biggest benefit of this is on pages that are largely static and don’t change often, it should not be ignored on your blog. Plugins. Plugins are great for achieving certain functionality on your blog, particularly if you are using WordPress, but they do have a negative impact on page load time. Reconsider all the plugins you are currently using and eliminate any where the same result can be achieved with some inline code. There are various services available for testing out the speed performance of your website, with GTmetrix measuring your site speed using both Google’s Page Speed and Yahoo’s YSlow. Along with giving you a list of recommendations to improve your speed, GTmetrix also allows you to test your site from various global locations simulating different connection types from dial-up through to cable. There is no ideal word count when it comes to blog posts, and what you are communicating will determine the actual length. If you are announcing a price drop, or a time-limited offer, you will find that 100-300 words is usually enough, while a how-to guide can easily reach more than two thousand words in length. The length of your posts will also influence the formatting, with long posts requiring more frequent use of short paragraphs, sub-headings, bulleted lists and images. Finally, the need for a call-to-action (CTA) is also dictated by content; all posts promoting any of your products or services must include CTAs that link to your sales pages, while all other posts don’t necessarily require a CTA that is explicitly promotional. Unlike print, web pages are not that limiting when it comes to layout. However, it is worth remembering that people read text on the web similarly to how they read in traditional print - most commonly left to right and top to bottom. It is both this and your conversion goal that must guide you whenever you design or alter your page layout, and while some pages of your website can benefit from heavily experimental layouts, your blog is not one of them. CrazyEgg is useful in generating heat maps and overlays that provide a visual assessment of how visitors navigate through each page, including scrolling, but these are only effective on sites that are already live and generating a fair amount of traffic. If you are busy with a redesign, or a brand new site, you could try Feng-GUI or EyeQuant to generate simulated results of how visitors might behave, allowing you to fine tune your design for optimization before it even goes live. Both of these services don’t only analyze the flow of attention, they also highlight the levels of attention each element generates. Using Feng-GUI and EyeQuant on pre-live designs, and CrazyEgg on live sites, is a vital part of conversion optimization. Effective optimization relies on you knowing what does and does not work, allowing you to continuously improve weak areas of your site. Does our blog make it easy for a first-time visitor to understand what we do? 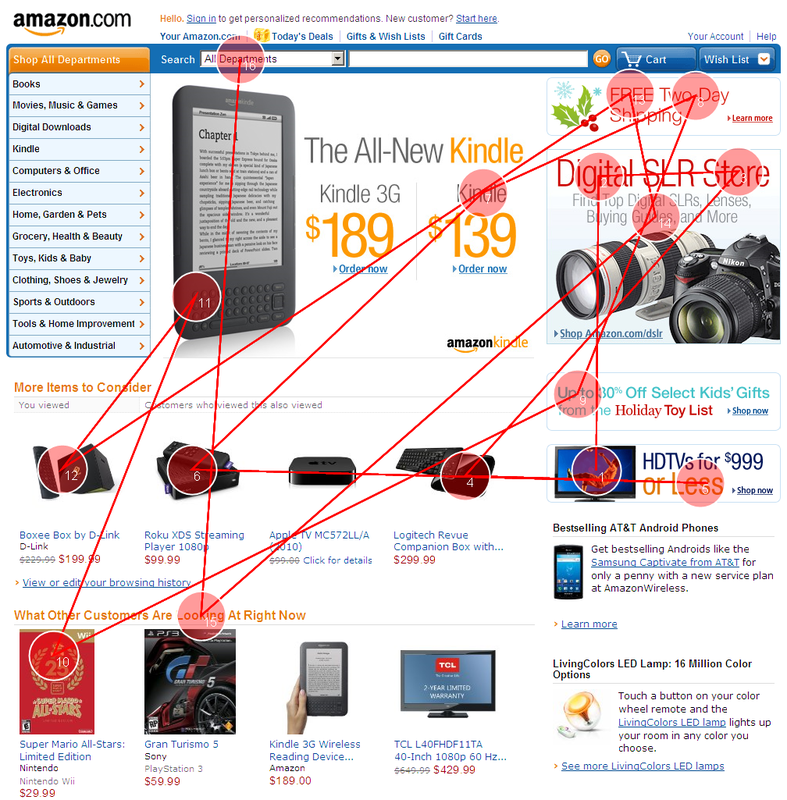 Is it easy to get to our homepage, or even our product page, straight from the blog? It is quite likely that you have an “About Us” page on your website, but try including an abridged version of it in the sidebar or footer of your blog. Always place greater emphasis on information, and a layout, that promotes conversion and minimizes distractions. Write about your products and services. Focus on the features and benefits and include a link to a sales page. Write about upcoming product launches, or services that are in development. Describe the research and methods involved, and once it is available do a new post in which you write about the features and benefits. Add a link to a sales page once the product or service is available. Publish videos and how-to guides that demonstrate how to use the product or service both at a beginner’s level and an advanced level. Publish posts in which you answer questions that your support team is regularly asked. Almost like an FAQ, but written as a blog entry. Write about developments and trends within your field, and how these will one-day benefit your customers. Put more effort into writing posts that center on “you” (your customer) and not “we” (your company) - posts that help and inform rather than just promote and sell - as this gives your customers a reason to keep visiting and reading your blog. Retaining customers is just as important as converting new ones. Word-of-mouth remains one of the strongest forms of marketing and while you can’t influence it directly, you can ease its propagation. The first step is obviously to have a product, and customer service, that people want to talk about, while the second step is to encourage people to talk about it. Social sharing is a form of word-of-mouth, but on a large scale and to a far larger audience. 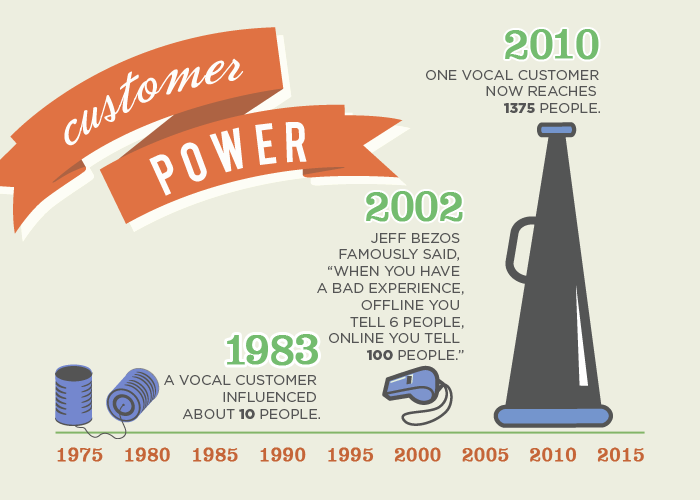 In 2010, Salesforce estimated that one vocal customer now reaches more than 1000 people , and having a great product, supported by the best service, means very little if your visitors and customers can’t easily tell other people about it. Include social sharing buttons throughout most of your website, from your blog through to your product pages. Social sharing and social proof (covered in the next point) are closely linked to each other. Social sharing is essentially a recommendation from friends, family and other people you trust, while social proof acts as a confirmation. Customer Reviews/Ratings. These work surprisingly well for businesses that sell physical products or services and can be seen either as actual reviews written by customers on product pages, or as feedback received from customers. The later can be displayed as testimonials on your home page, or in the footer of your blog. Company Names/Logos. If you don’t sell physical products, but instead provide a service such as web development or a SaaS product, you could list the names or logos of some of your corporate clients as a measure of social proof. Reviews do not need to be paired with a rating system, but you should avoid using a rating system on its own. A rating system on its own does not say much at all - why did one person rate something five stars and the next person only rated it two? Combining it with a review gives a more detailed and nuanced look at which features are most liked and disliked, and why. This allows your customers to make informed decisions, while enabling you to address any features that rank poorly. Reviews do not need to be limited in length, making them ideally suited for inclusion on product pages. Testimonials on the other hand need to be short and honest, allowing them to be included on almost any page of your website. Additionally, the person’s real name, location and space permitting, a photograph, should accompany testimonials. Having a website or blog that attracts large volumes of traffic does not automatically translate into a successful enterprise; the success is solely dependent on how much of that traffic converts to sales. If your blog is attracting most of the traffic on your website then it should also be generating most of the conversions. 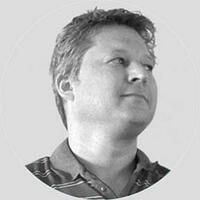 If it isn’t, then it is time to shift more of your SEO budget into conversion optimization. Stop looking at the two functions as being mutually exclusive, because they aren’t; neither can benefit you and your startup fully without the other. What tactics are you employing to make sure your blog converts as effectively as the rest of your website? What tools have helped you in achieving this? Add your comments below.